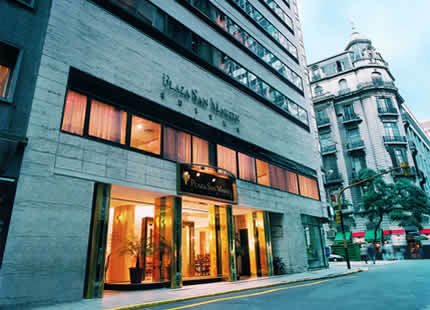 Plaza San Martín Suites is set in the heart of the city on Santa Fe Avenue, near the financial district and the new business center at Puerto Madero. Also nearby are theaters and exclusive shopping at Patio Bullrich and Galerías Pacífico (a refurbished turn-of-the-century building that boasts murals by prominent Argentine artists and houses not only specialty stores, but also the Borges Cultural Center). Just a block away is Plaza San Martín, famous for its wide variety of trees and peaceful park setting in the middle of Buenos Aires.